When I was teaching, I learned a tough lesson with shoes and my poor feet. I was young, naive and wanted to wear heels. I already knew that buying cheap shoes was not a good plan. I spent a little bit of extra money and bought nicer shoes that would make me a bit taller than my students. After my oldest son was born and I went back to teaching, my poor feet had had it. They no longer could tolerate standing for hours on end in the classroom in heels. I quickly became a creature of comfort. Aerosoles became my best friend since I could find them all over. After our honeymoon at Disney World, I also knew that comfortable shoes at Disney were a must. Just before our trip in May, we went out to look for new shoes. 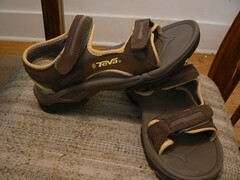 The boys got new sneakers, hubby a pair of sandals and I got Teva. I was intrigued with Crocs, but nobody locally had any at the time for me to try on. My father mentioned that he loved his Teva, so I tried them on. My feet melted into them. While at Disney, I thought I would wear my sneakers a lot. My feet showed me differently. I was happier in my Teva. I wore them almost every day there and the entire summer. Putting them away for the fall/winter months has been rough. 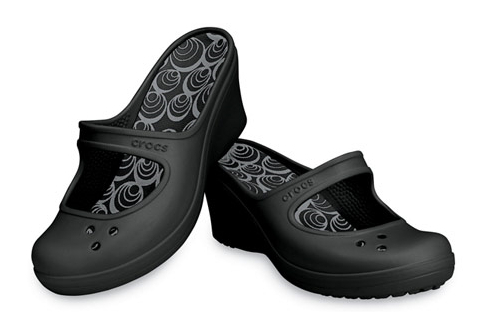 Since the summer, I have fallen in love with the wide variety of shoes available from Crocs. I have a pair of their Sassari wedges, Nadia boots, LA Dodger (for around the house) and recently added the Juneau. 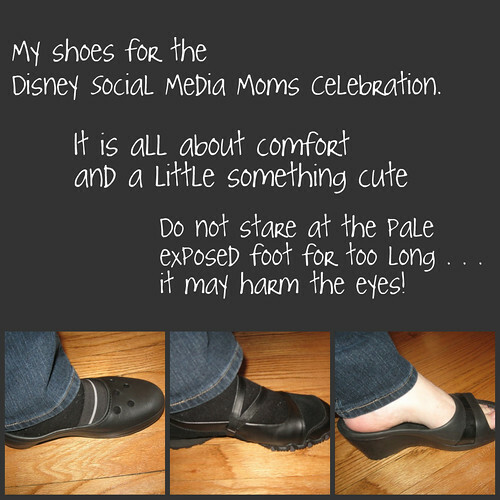 When the Disney Social Media Moms Celebration came up, I immediately started to think about shoes. What was I going to wear on my feet that would be practical not only for a conference, but also for wearing/walking at Disney World. I figured the Sassari may be good at night, the Juneau for during the day. Still, I wanted something else for Disney and beyond. While shopping at Kohls and armed with a 30% off coupons I bought a pair of Sketchers Biker’s – Step Up. So I think I am all set. My only wish is that I could swing a pair of Crocs new Frances. As much as I like the Sassari, I think the wider toe area on the Frances would make it more comfortable for me (high arch make shoes a pain to get at times). A girl can dream right of owning a pair – right?! So what shoes do you like to wear at conferences? What about when you go to places like Disney World? I have to say, I’m not a fan of Crocs. But the frances ones are cute! My feet are all tore up from being home and barefoot all the time. I am a flip flops kinda girl but now I just might try me some Crocs! .-= Kimberly@PrettyPinkMomma´s last blog ..True Story Tuesday – Benji Say What?!! =-. I’m going to look for some new Disney shoes today! You look like you are all set for your footwear. I laughed at your comment about your pale foot – I’m the same way. Hopefully I won’t have to break out the shorts at DisneySMMoms, b/c *that* would be a scary sight, indeed! .-= @LastMinuteMandy´s last blog ..I’d rather be in Bollywood =-.